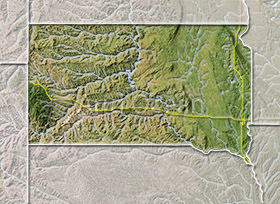 South Dakota, shaded relief map. 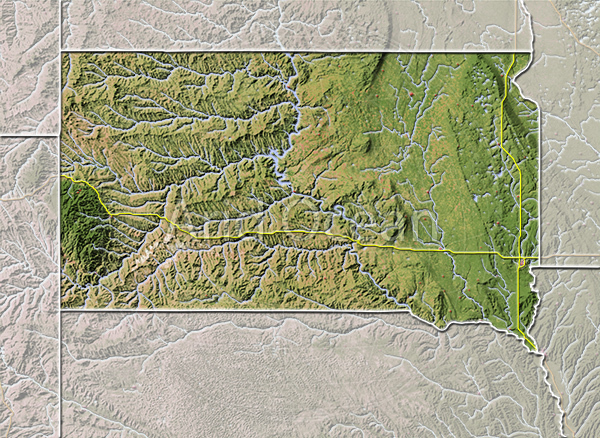 South Dakota, shaded relief map. 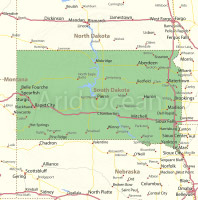 Colored according to natural appearance, with major urban areas and interstate highways.